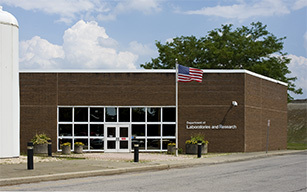 The Department of Laboratories and Research is the behind-the-scenes agency that conducts scientific tests in matters ranging from criminal evidence to public health concerns. The department is headed by Kunjlata Ashar, M.D. who is the Pathologist/Medical Examiner. In 2007, we opened a state-of-the-art DNA Crime Lab that can analyze evidence more quickly and establish identity through DNA with the smallest of samples. In 2004, we opened an enhanced Biosafety Level 3 laboratory to identify select agents and new and emerging pathogens. This arrangement groups nearly all county laboratories under a single administrative control, thus permitting interchange of scientific knowledge, technology and data. Whether it is analyzing crime specimens for DNA, toys for possible lead or patient specimens for TB, the department works to protect the public's health and safety.